Ludwika was a fascinating story of a Polish woman’s journey from her home on a farm in rural Poland to various places in Germany. It is based on a real person and includes many well researched details about her life. I did not know that much about the plight of the Polish people when Germany invaded Poland in October 1939. It was quite an eye opener for me to discover how difficult it was for the Poles during the war. Previous WWII literature I have read has largely either been factual in its nature or focused on the horrors experienced by Jewish people. Right from the beginning of the book, Ludwika shows herself to be a woman of innovation and resilience. She is the one whom her father has left in charge of his farm, her mother and her sibling, when he left to help defend Poland against the German army. It is also quickly apparent that Ludwika is a woman of unusual beauty and who quickly attracts the interest of men. Soon after the arrival of the German soldiers, Ludwika catches the eye of Manfred, an SS officer. His interest results in a measure of protection for Ludwika’s family and in order to maintain this protection, and do what she believes to be in the best interests of her family, Ludwika agrees to move to Hamburg as Manfred’s housekeeper. This moves requires that she leave her young daughter, Irena, behind her. I thought Ludwika’s anguish at leaving her family and emotion turmoil as to what would be best for them all was very well expressed. Ludwika is very popular with children and they learn to love her quickly. During her journey to Hamburg she meets up with a young and wealthy German woman with four children. Ludwika helps to keep the children occupied during the train journey and befriends the mother, who has strong Nazi ties. This relationship changes the course of her life. 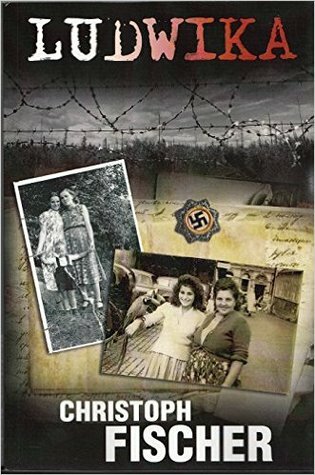 As things deteriorate in Germany as the war progresses and the lives of Poles and other foreigners become much difficult and precarious, Ludwika finds her situation in Germany becoming more and more difficult. There are a number of love interests and relationships in the book which make the reader all the more aware of Ludwika’s desperate and vulnerable position. Despite its themes, I found Ludwika to be a positive reading experience which emphasized how, despite difficult circumstances outside of her control, Ludwika’s hard working and resilient nature and kind and generous spirit prevail and help to open doors for her that would otherwise have been closed. I rated Ludwika five out of five stars. Robbie, a superb review of Christoph’s book – I think it is even more heartfelt as this is based on real events. It’s good to know that you found the book positive despite the subject matter and Ludwika’s strong personality shines through. Have a lovely weekend! I really did enjoy this book, Annika. Christoph is an excellent writer. Thank you for sharing. I am glad you enjoyed this review. A great review which has enticed me to read this book which has been on my TBR list for awhile. I am glad you enjoyed the review, Darlene. I really enjoyed this book and will probably read it again. What a great review Robbie! Thank you, Ritu. A fascinating book and I learned so much. I’ll definitely be checking it out! Thank you so much for the Five Stars. So glad you enjoyed it. I really loved it, Christoph. I liked the fact that it highlighted making the most of situations and doing the best you can. I am really pleased you liked this review, Christoph. It is very good, Colleen, and I found it quite uplifting considering its theme and setting. Thanks for this insightful review. Christoph has so many books. This one is one of the most compelling. Hugs to you both. This is the second of Christoph’s books I have read, Teagan, and I will definitely be reading more. Excellent review, Robbie. Adding LUDWIKA to my TRB! I found this book very compelling, Bette, a most worthy read. I’ve enjoyed the books I’ve read so far by this author and I know he has a particular interest in historical subjects and this was a labour of love for him. Great review, Robbie! I have loved both books I have read by Christoph, Olga. I was fascinated by this book especially since I have been involved in my own labour of love about WWII with my Mom. Your reviews are always compelling Robbie. Thanks for sharing. Thank you, Balroop. I really appreciate your comment. This is a great book, Sally. Thank you, Billy Ray. I thought Ludwika was a most inspirational character. Excellent review, Robbie. I’d add this to my Kindle. I am sure you will enjoy it, Miriam. I’m sure I will. Thank you for sharing, Robbie. Poland was affected by the war in many ways. When the Jews were forced from their homes the Poles moved in. And many refused to move out when the survivors returned. Warsaw was left totally flattened by the Germans. The destruction was awful. My grandfather was born in Germany but after the war the area he was born was handed to Poland as repatriation. I’m not sure if my grandfather ever returned to the city of his birth. When he died my mom, dad and my mom’s sister went to explore the city. I never knew about the Poles moving into the homes of the Jews, Tandy. I do know that after the Warsaw uprising, all the Jewish people were sent to concentration camps. Such a shocking tragedy. One of my friends recently visited a concentration camp during a tour of Germany. I don’t think I could do it. It would be far to disturbing. 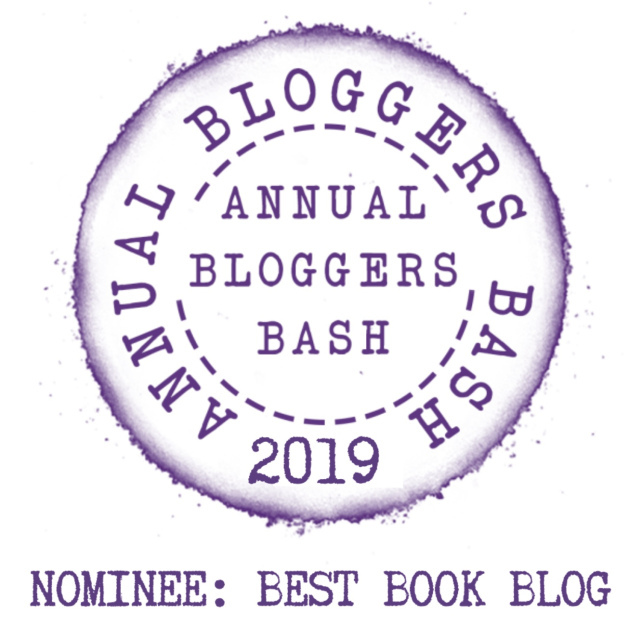 Check out this review of the book Ludwika, by Christoph Fischer, as featured in this post from Robbie’s Inspiration blog. Thank you, Don. Appreciated as always. Thank you, Michael. This book is brilliant. I love your review about Ludwika and the truth of it all. Women have always had to do things to survive and her intuitive ability of what had to be done is what helped her along way. Your review of this book is so heartfelt, so beautifully written, that I can actually envision this real event story. Wonderful. Thank you for your lovely comment, Karen. Ludwika’s story really touched my heart; leaving your child behind is such a hard thing to do. Robbie, my pleasure and you are welcome! I agree, Karen. I don’t watch movies much but I did watch Sophie’s choice a few years ago and I have never forgotten it. I just don’t know how you could make a choice like that; I would also go mad. Thank you for the suggestion, Debby. I will pop over and read your review. Thanks Janice. It is really heartbreaking. It is quite an eye opener, Tina. I didn’t realise how bad it was for the Poles. Excellent review, Robbie. I definitely want to read the book over the summer. This book must have been particularly interesting to you as you finish writing your WWII book, based on your mother (which I can’t wait to read!). Thank you! Thank you, Jennie. I have a design for the cover which I am very happy with and will share on my blog soon. I would love your opinion. You are welcome, Robbie. I look forward to seeing your cover and giving you my thoughts. Books like this are a tough read, Willow, but well worth it. I haven’t read either. Thank you for the recommendations. Hi Janice, I agree, Christoph is a very talented writer. I enjoyed The Healer too. Previous Previous post: #Interestingliterature – Lord of the Flies or The Coral Island; which one?